Gabriella Simpson believes when it comes to being involved in pageants, it’s not just the beauty that counts. It’s about being who you are and helping people. “I want to be a role model for others,” Simpson said. The Boise High senior began competing in the Miss Idaho Teen USA competition in 2015. She grew up playing soccer with boys and had never competed in a pageant until a year ago. “I signed up on a complete whim,” Simpson said. Since getting involved with Miss Idaho Teen USA, she has put in 150 hours of community service. With her recent win as Miss Idaho Teen USA, she hopes to get more exposure to volunteer and serve. Gabriella Simpson, photo courtesy of Jerry and Lois Photography. Simpson volunteers at the Idaho Food Bank, YMCA, Idaho Humane Society and the Boys and Girls Club of Ada County. Simpson plans to be a positive role model as she prepares to represent Idaho in the Miss Teen USA competition in 2017. 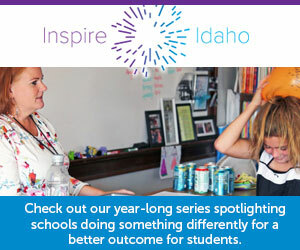 Since winning the crown, Simpson has visited local elementary schools and participated in the Boise holiday parade. She plans to put in more volunteer hours and train for her second pageant (Miss Teen USA). Simpson owns a 3.5 grade-point average and has been part of the Treasure Valley Math and Science Center since the sixth grade. She plans to apply to the University of Arizona to study forensic science. Her dream job is to become a lawyer.